I have talked about Babbleboxx in the past, but the idea is that Babbleboxx comes up with a box full of beauty goodies. The products are all over the beauty spectrum, and sometimes there's some fashion related items included. Plus it's always fun to try some new things. Given I know hot weather really well here in Arizona, I thought this was the perfect Babbleboxx for me. Let's get into the deets. Over the past few weeks, I've actually seen a lot more media coverage about the idea of cupping for the body. After looking through some research and explanation surrounding facial cupping, I found that it is a non-invasive way to do quite a bit. It helps with reducing the following: appearance of fine lines and wrinkles, under-eye puffiness and even headaches. In addition, facial cupping helps to tone, lift and sculpt the face, and cupping has been known to help clear sinus congestion, just to name a few. Depending on what may be ailing you, read up about facial cupping to see if this could help you with lymphatic drainage, tooth pain, headaches, etc. Our face is definitely the heart of various ailments so it may be a health move to consider cupping. Of course, with all of these benefits, cupping can be seen as a alternative to Botox and injections, so there's that. If you're interested in learning more about facial cupping, I recommend checking out Lure Essentials' website. If you decide to make a purchase, use the code BABBLE15 for 15% off your order. When it comes to shaving, I absolutely hate the after effects post shave. One of the main issues being ingrown hairs. Throw in some dark spots, and razor burns, and my legs no longer look toned but as if I tripped over myself and skinned my legs. After shaving or any sort of hair removal (waxing, laser, etc.) I recommend taking this PFB Vanish + Chromabright and applying to the newly shaved area. It is a luxurious roll-on application that feels tremendously cooling on the skin. It does dry with some white streaks so I recommend rolling it on and then rubbing the product into your skin. I've been testing this for a week now, and I have found that my skin is significantly smoother and the spots are much less visible. After just using the product one day, I saw instantaneous results and you know I love that instant gratification. Ever since I left California, I have always wanted to have those perfect beach waves. 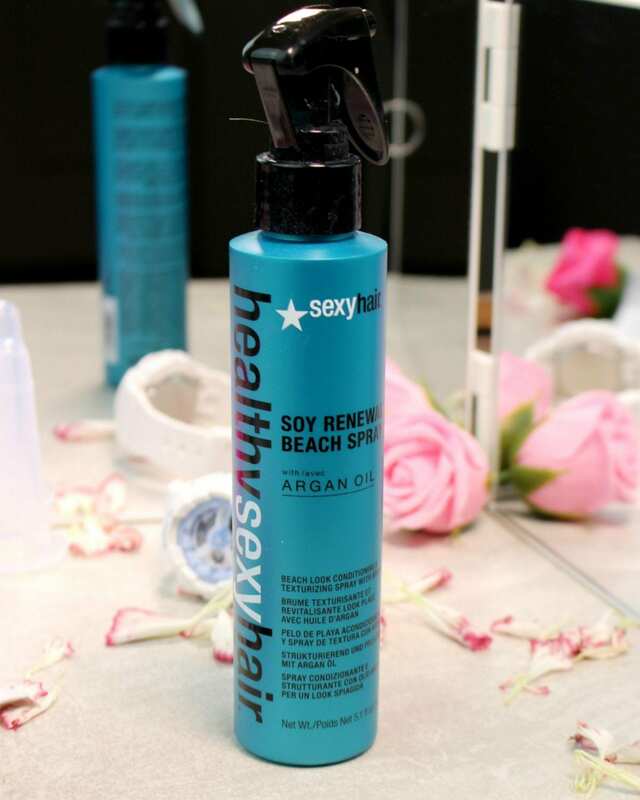 I adore the smell of this spray, and it really helps to nourish, protect and heal hair because this spray has argan oil in it. 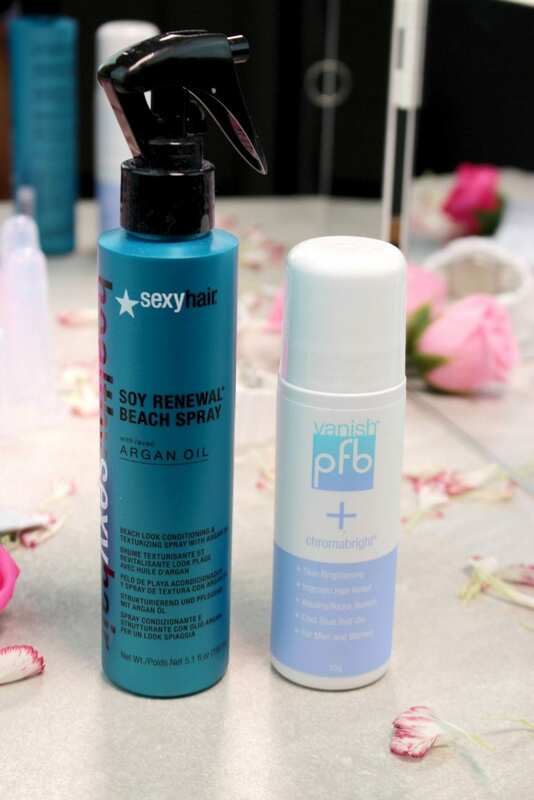 Because I've never been a big fan of doing too much with my hair, my go-to for days I want to have that tousled look, has always been a beach spray. If you know anything about me, you know that I am a sucker for good packaging. When it comes to ease of use, I am all for it and I love the applicator for this spray. One of the reasons I don't like to do my hair too frequently is because I can never really see what is going on in the back, and that just makes me want to brush it and leave it straight. This travel-friendly mirror provides a 360 view so you can see what's going on in the back. Also, I know it's scary taking a mirror with you on the road but this is made of plastic and break resistant acrylic mirror. It also folds up kind of like a book, making it much easier to envision taking it with you on a trip. 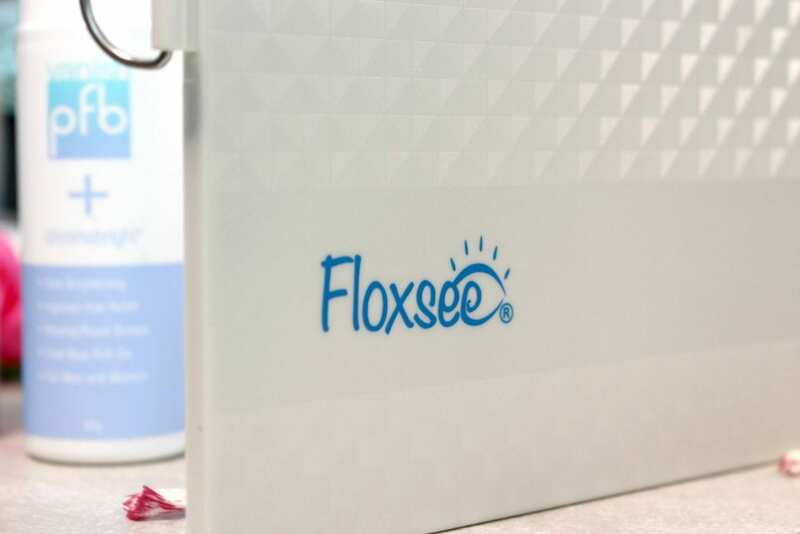 One of the best things about purchasing Floxsee is that a portion of sales will be donated to the Fox Chase Cancer Center in Philadelphia to honor Aunt Flo, who is the inspiration behind this invention. Something I realized when I received this Babbleboxx is that I've gotten away from wearing watches. However, as soon as I get a watch I can pair with my outfits, I absolutely cannot take it off. 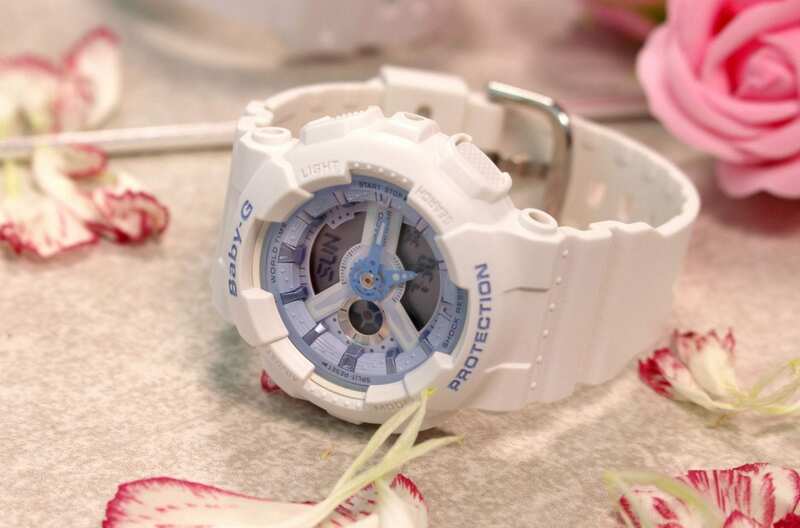 Given summer is a time for pools, beaches and lots of outdoor activities, I think this Baby G watch is perfect for the hustle and bustle given it is water resistant for up to 100 meters. It reminds me of watches I used to wear back in the day, and I forgot how much I loved the unique look of these. Depending on your summer taste, this watch is available in pastel pink with white face details or white with pastel blue face details. I plan to bring this watch with me on my workouts because it's super comfortable and lightweight so it won't throw off my balance! Since I have such a fast-paced life, and I'm always on the go, I absolutely love the idea of having cloths alongside me. After a long day at work, I definitely need to have one of these to freshen up before my workout in the evening. The best thing about these cloths is that they are free from harsh ingredients which is ideal when you're using them on such a sensitive area. I really love the fact that these cloths fight odor causing bacteria, while helping maintain a balanced pH. Having freshness makes a difference because I love being comfortable and feeling cleansed, so these will not be leaving my side. 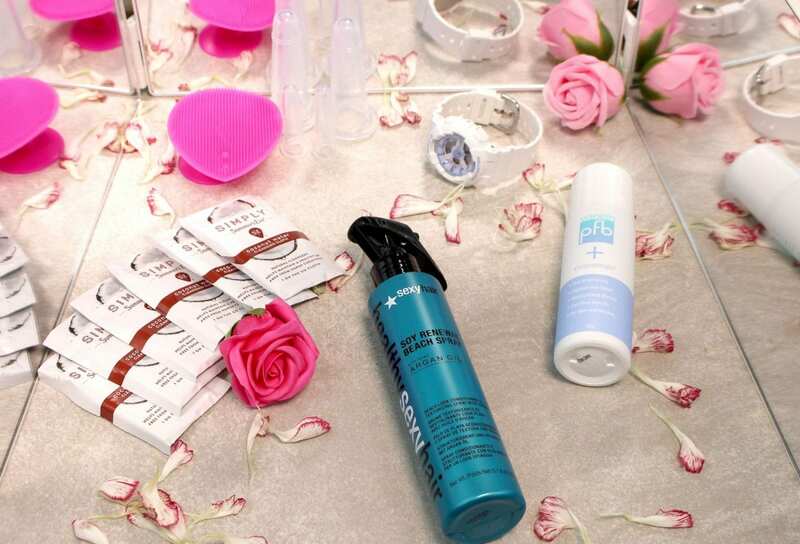 Have you tried any of these products? Which is the one that's got you most intrigued?